FROM 2009 TO MARCH 2019. The late Ray Shepherd, North Devon RMA Standard Bearer . 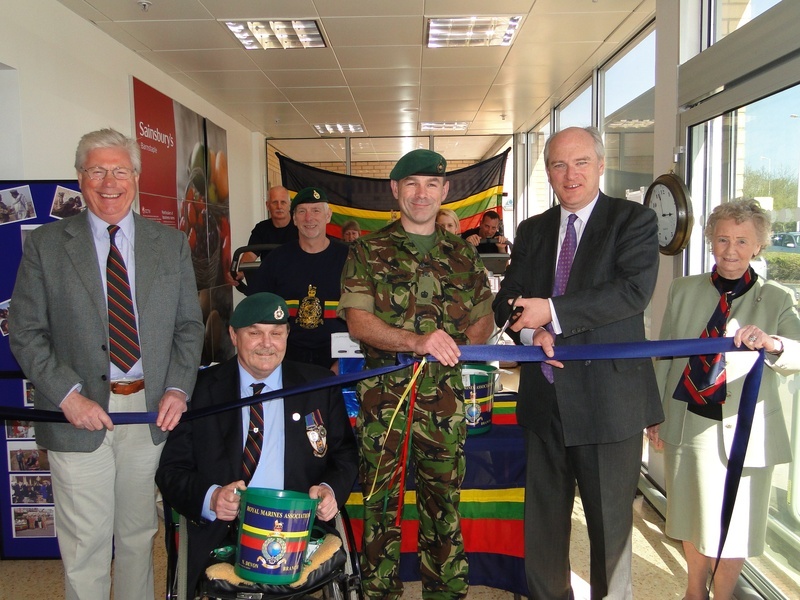 The Rt Hon Nick Harvey MP, Minister of State for the Armed Forces, Lord John Burnett of Whitchuch, Major Mark Woosey Royal Marines, OC Command and Support Squadron Commando Logistic Regiment Royal Martines, cutting the ribbon with Branch Members Tom Rivenberg, Jan Vickers with John Peel and Colin Shearsby in the Background.